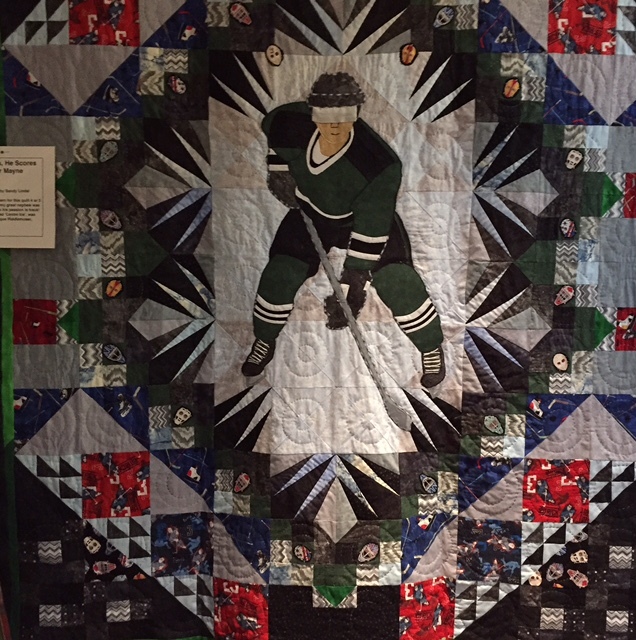 From maple leaves and hockey players to underwater tableaus and flower gardens, there seems to be no subject that can’t be featured in a quilt. This was more than evident in the more than 200 quilted bedcovers and wall art on display during the York Heritage Quilters Guild’s recent Celebration of Quilts XIII at the TBG. Kay Phillips, who had two quilts in the show including the sunflower design pictured above, has been quilting for over three decades. 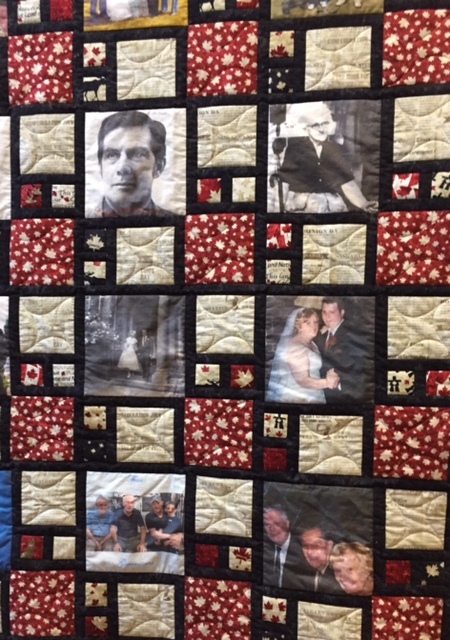 “I started quilting because it was something to do when I was home with four small children and I’ve been doing it ever since,” she told me as we shared a table in the lunch room. 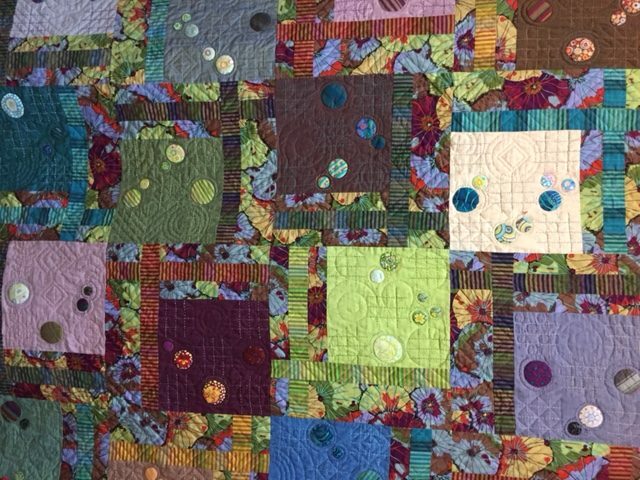 In fact she has been quilting regularly with a group of 12 that have become fast friends for more than 30 years. 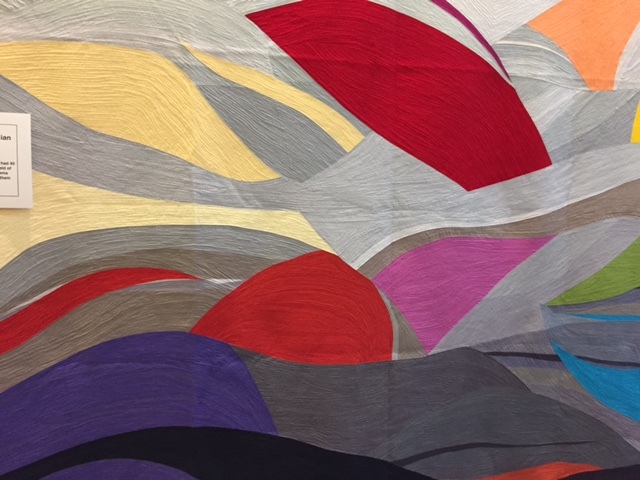 “We still get together and call ourselves the Tuesday Quilters, or sometimes the Stitch n Bitchers.” Her second quilt in the show was a tribute to and featured portraits of the Tuesday Quilters. 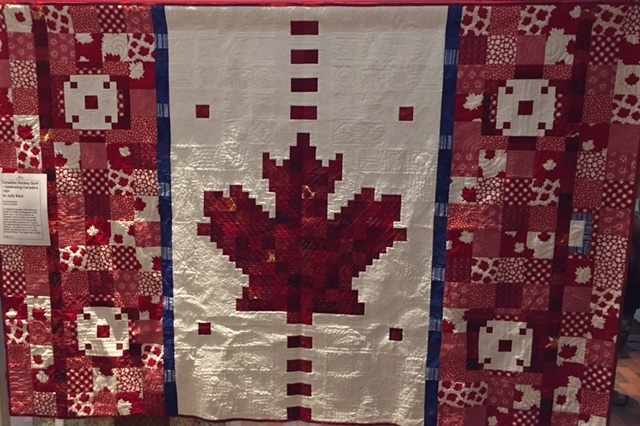 Kay spent 24 years as a quilting instructor, going across Canada as well as to New York State teaching a technique using strip pieces which makes the process faster. She is a past president (1984-1986) and has been a member of York Heritage since it began in 1980. Many of her former students came up to Kay during the show sporting a red heart pin she gave them during her classes. 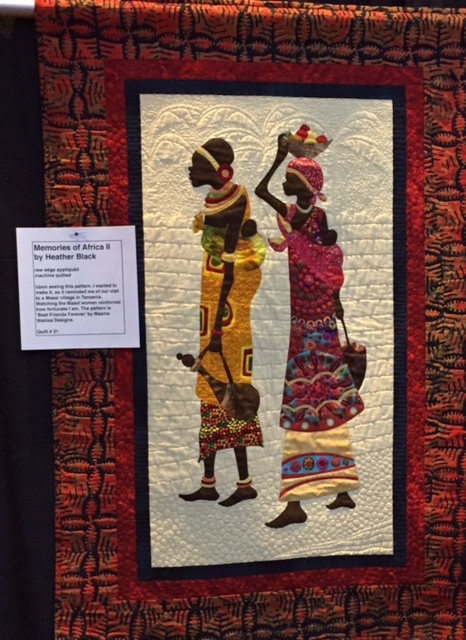 “I had 2,000 made and only have about 50 left, so that’s how many people I have taught to quilt,” she says. Quilting has an illustrious history and while pioneer women often used fabric scraps and sewed their bedcovers entirely by hand, today it has become more acceptable (and much faster) to use sewing machines and even large, expensive devices known as long arm quilting machines. 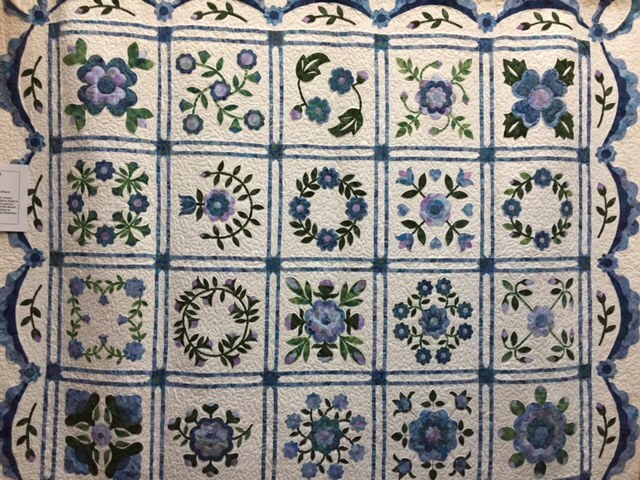 Also, many quilters now make smaller quilts and quilted accessories such as handbags and wall hangings. 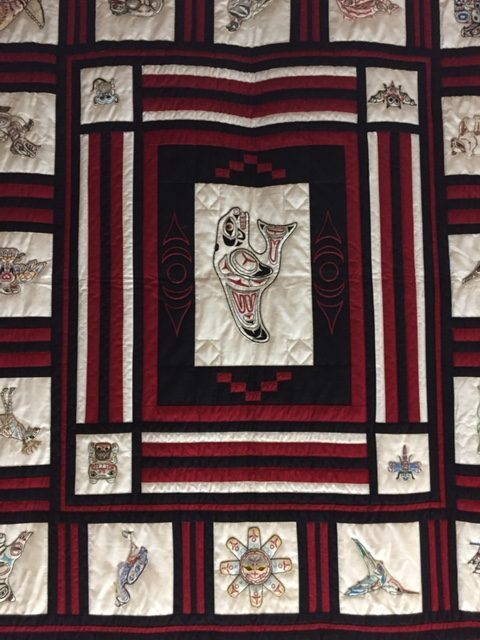 That quilt won’t be covering anyone’s bed. “It will be going on the wall over the fireplace,” she said.